Our Sandman is an intimate, immersive and multi-sensorial sound work about our dreams and the presence of the Sandman in both our dream-driven and dream-deprived lives. Audiences are invited to relax into their sleeping selves, close their eyes and listen to the stories of vivid dreamers and avid sleepers amongst new electronic music pieces presented in a nest of mattresses and softness. 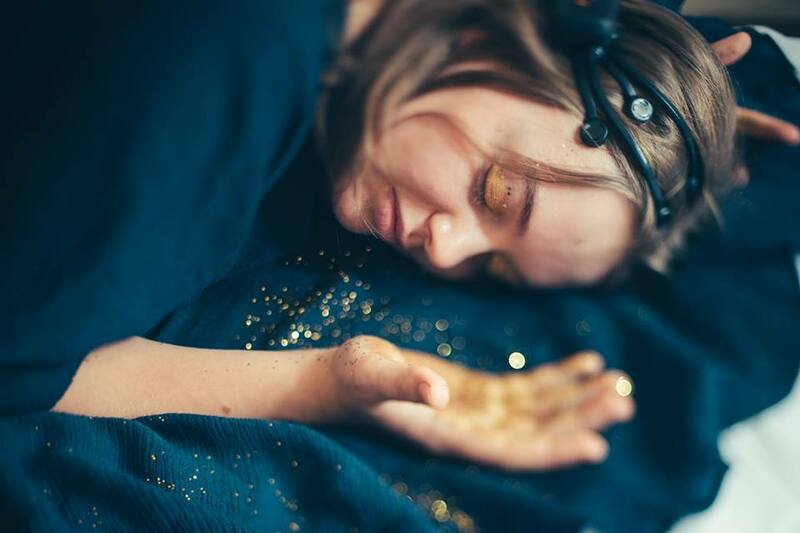 Join an exploration in experiencing dreams consciously whilst uncovering the subconscious and the quiet adventures that we go on during dream sleep. Compositions, soundscapes, audio recordings and live vocals are augmented by EEG headgear (data collected from brainwaves) throughout the performance. The development and realisation of this work was supported by the Perth Institute of Contemporary Arts’ Studio Program and developed and produced with the assistance of Crack Theatre Festival for the 2017 festival. Please contact us if you have any accessibility questions about the event, and we will try to be as accommodating as possible. WHERE: Cool Change Contemporary, 78 - 84 Barrack Street, 1F. Perth.